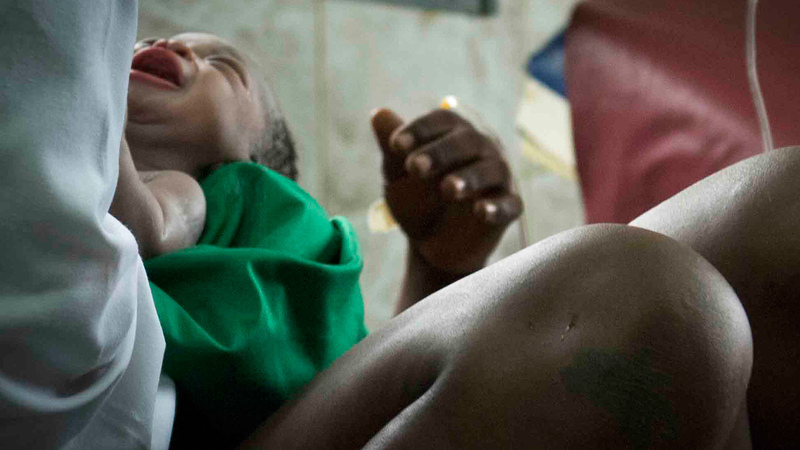 South Sudan has the worst reported maternal mortality rate in the world. “More women die in child birth, per capita, in South Sudan, than in any country in the world,” says Caroline Delany, a health specialist with the Canadian International Development Agency (CIDA) in South Sudan which is funding a raft of maternal health programmes. A 2012 report entitled Women’s Security in South Sudan: Threats in the Home by Geneva-based think-tank Small Arms Survey (SAS) says a national survey carried out in 2006 indicating 2,054 deaths per 100,000 live births may have been an underestimation. “Many deaths are not reported, in part because 90 percent of women give birth away from formal medical facilities and without the help of professionally trained assistants,” it said. Childbirth and pregnancy, rather than conflict, are the nation’s biggest killers of girls and women. “One in seven South Sudanese women will die in pregnancy or childbirth, often because of infections (from puerperal fever and retained placenta), haemorrhaging, or obstructed births, with a lack of access to healthcare facilities playing a large role in their deaths,” SAS found. "When we talk about security in South Sudan there is a tendency to focus on issues such as guns and militia groups. But real human security means protection from anything that threatens health and wellbeing. In South Sudan there is nothing that poses greater threat to a woman's life than getting pregnant," says SAS researcher Lydia Stone. “Midwives can prevent up to 90 percent of maternal deaths where they are authorized to practice their competencies and play a full role during pregnancy, childbirth and after birth,” the UN Population Fund (UNFPA) in South Sudan said in a May report on maternal mortality. At the maternity ward in Juba Teaching Hospital, staff members say there are not enough (or the right) drugs, and never enough trained staff. Midwife Julia Amatoko is one of three registered midwives at the country’s ramshackle and constantly overcrowded hospital in the capital. “We are just a few and a lot of mothers are coming. And beds are not enough for the mothers. We have just eight beds for the first stage of labour and for the post-natal mother,” she said. 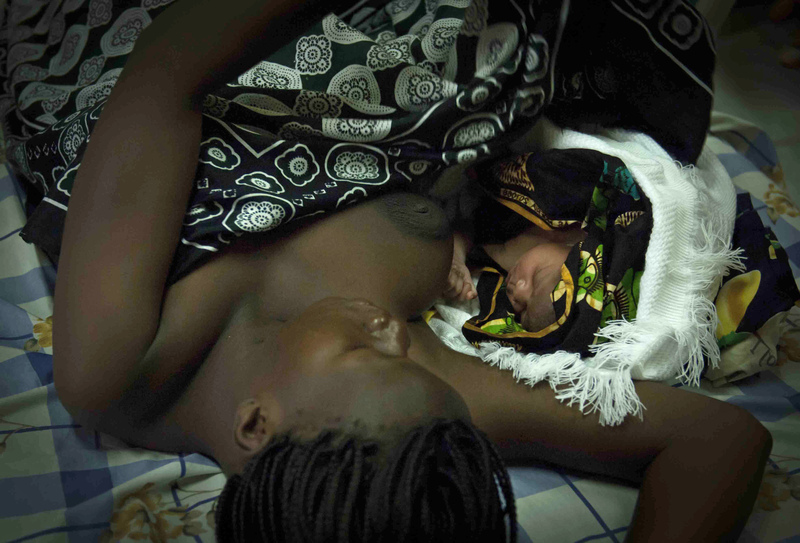 According to UNFPA, South Sudan has just eight registered midwives and 150 community midwives. IRIN’s latest film, South Sudan - Birth of Nation, focuses on Juba Teaching Hospital’s new college of nursing and midwifery. Students here, drawn from all of the country’s 17 states, speak of their determination to take their new skills back to their villages to reduce the scourge of maternal mortality. Giving birth even at the country’s leading hospital is a lottery, especially at night. “I’ve been here for three months, and two mothers died, in the night,” she said, due to a lack of human resources. “Midwives are the backbone for reduction of maternal mortality… but here, with all the midwives and birth attendants put together, there are only around 20,” said consultant obstetrician and gynaecologist Mergani Abdalla. “If you have professional midwives that can provide basic obstetric care - once South Sudan can deploy those, they can expect progress, but it will happen slowly,” said midwifery specialist for UNFPA Gillian Garnett. UNFPA is looking forward to the graduation of around 200 midwives next year. Many women come to the hospital late, when they are already in the throes of a difficult labour, said Abdalla. “There are delays at the community level, with a lot of cultural and other kind of issues; there are delays in getting to the hospital because of the transport infrastructure, the lack of ambulances, the roads; and then there are delays in the hospital as well,” said Garnett. Mariam Kone, a medical coordinator for a Médecins Sans Frontières (MSF) hospital in Aweil, Northern Bahr-el-Ghazal, echoed the problem. “We are receiving ladies at a really late stage… They’re usually in a septic condition or they’re anaemic, and many have malaria,” she said. MSF admits around 6,000 people a year to the maternity ward and had 18 deaths last year, mainly due to postpartum haemorrhage, septicemia and eclampsia. The nation’s first blood bank has been built but not filled at the hospital, which only has a family-size fridge full of blood (mostly allocated by relatives for patients due for surgery). “The biggest need is blood transfusion, because most of the [maternal mortality] cases are due to post-partum haemorrhage”, said Abdalla. Garnett says that if these were normally healthy women, blood loss would not be so tragic, but a combination of poor health and the delays at community and hospital level to seek health care puts most women at risk even before they go into labour. In a country where girls are often married off in their early teens, the number of children they have is often not up to them. “A married woman of childbearing age is expected to become pregnant at least once every three years, and to continue until menopause,” the SAS report found.